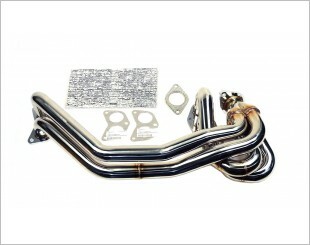 The exhaust manifold collects all the exhaust gases from different cylinders and channels them into one pipe. It is usually designed as a circular steel tube with plenty of bends and folds. The exhaust manifolds are joined at narrow angles to encourage pressure waves to flow through the outlet, and not drop back towards other cylinders. 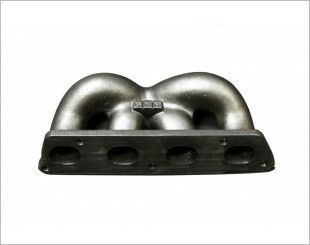 OEM (stock) exhaust manifolds are usually made of cast iron, and some drivers will switch the exhaust manifolds to an exhaust extractor that is usually fashioned from steel. 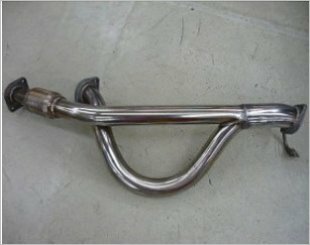 The main difference between an extractor and a stock manifold is that the extractor has an individual pipe for each exhaust port per cylinder. This allows for a more efficient release of the the gases as compared to a stock manifold. Extractors can be categorised in configurations such as 4-2-1 extractors - where 4 pipes merge into 2 which merges into 1, while 4-1 extractors merge 4 pipes directly into 1. There are different combinations available in the market as to which cylinders in the firing order should be paired for best effect. 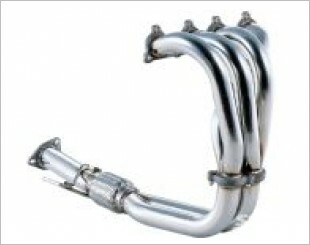 The Fujitsubo Super Ex exhaust manifold increase exhaust efficiency. 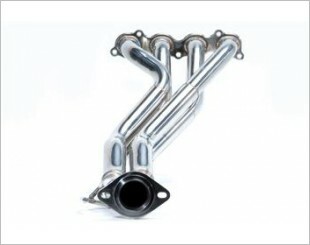 improves engine response and lowers noise with its superior design. 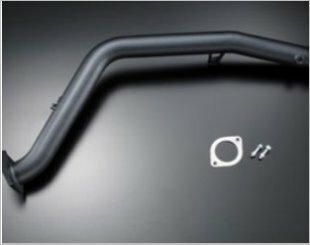 The FUJITSUBO Front Pipe - Main Silencer and Tail End is made as a direct replacement of your Stock OEM Front Pipe. 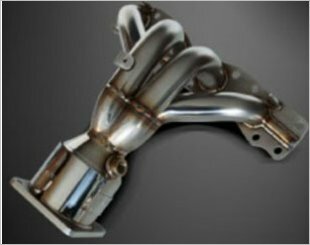 HKS Cast Iron Turbo Exhaust Manifolds are available for custom turbo kits on select turbocharged & naturally aspirated vehicles. 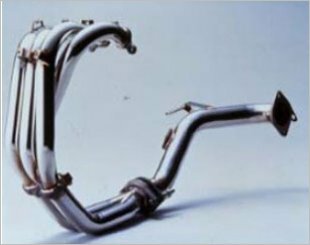 HKS Stainless Steel Turbo Exhaust Manifold offers maximum exhaust flow for increased turbo spool up & phenomenal flow capacity. Made of high quality stainless steel with an impressive buff finish. 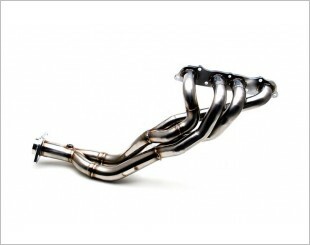 Designed to improve midrange to high end torque and power output. 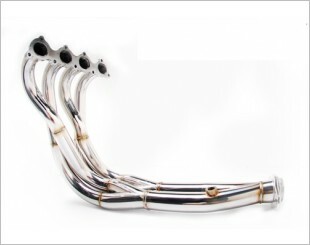 The Greddy Sports Catalyzer Exhaust Manifold and center pipe has been designed to provide increased engine response and power while keeping noise down. Features equal-length, sequentially paired, stepped primaries and a 4-2-1 tri-Y design. Features equal length, sequentially-paired, stepped primaries and a 4-2-1 Tri-Y design with a 2.5 inch collector.